Home > Blog > Care > When Should I Bathe My Dog? 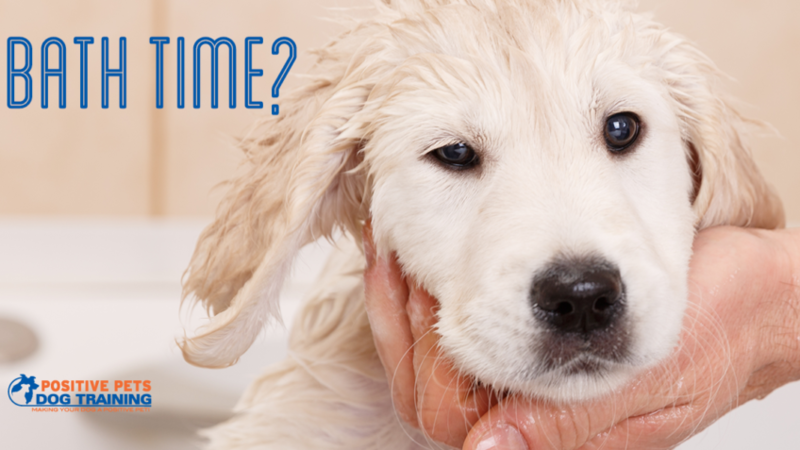 When Should I Bathe My Dog? Bathing our dogs can be extremely time consuming and frustrating. Our dogs don’t love to sit still for more than 5 seconds and it can be messy to bathe them in our own tubs. We probably wouldn’t mind bathing our dog as little as possible. But how much is the right amount? Check out what the recommended amount is to bathe your dog and how to get the most effective bath. In general, a healthy dog should only need to be bathed once a month. Of course, every dog is different and it truly depends on their skin and lifestyle how much they should be bathed. Dogs groom themselves, but the occasional bath is good to help their process. On the other hand, too much bathing can cause dry or irritated skin, damage hair follicles, and even increase the risk of infections. There are many factors that influence how much your dog should bathe. If your dog spends a lot of time indoors, they may only need a bath 4-5 times a year. If they are often out in the mud and dirt, you probably need to bathe them much more. Your dog may need to bathed more than once a month, even once a week, if they have a skin problem or other issue that your vet explains to you. While you may be on a schedule with your dog’s baths, there are signs that your dog is in need of a rinse. If you can smell your dog when they come into a room, it is time to wash them. Another thing you may notice is dirt or mud in your dog’s coat. This is also a sign to bathe. Brush out their coat and then bathe them to get out as much of the dirt/mud beforehand! Once you decide it is time to bathe, there are some techniques to make it the most efficient. Start with the body and finish with their head, since dog’s will shake when their head is wet and you don’t want that happening while you’re still rinsing their body. It is also important to invest in the correct products. Our skin is different than our dog’s, which means we must get specific products for them. Find a mild, moisturizing dog shampoo. Consult your vet if you think your dog may need something stronger or if you have any questions. They can direct you to the right type of product for your dog’s specific needs. Sometimes bathing your dog may just be too hard for you. There are many professional groomers that will take care of this difficult task for you. If your dog has a particularly challenging coat or thick hair, it may be a good idea to send them to a groomer. Some dogs’ coats require specific products or blow drying, which is best to be left to the professionals. It can be hard to bathe your dog, but it is definitely necessary. Take your time and consult your vet with any questions. Good luck!